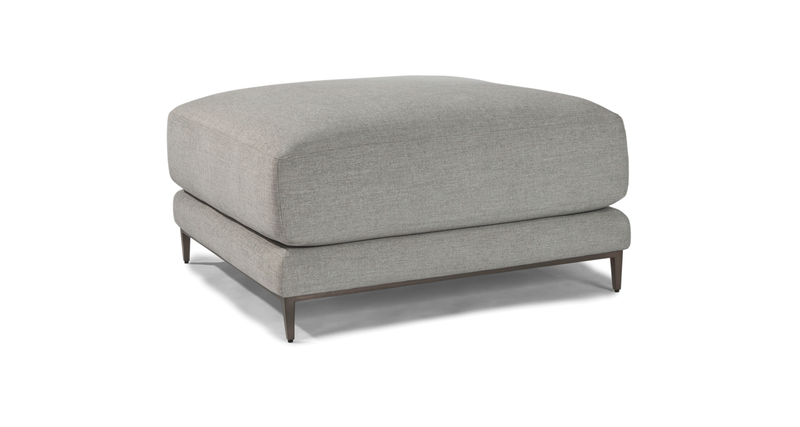 A versatile ottoman designed to pair with our Hangover sectional sofa system. Hangover can be upholstered in any of our fabrics or leathers as well as COM. Choose from dark bronze or polished stainless steel metal finish. Dark bronze finish shown. Also available in polished stainless steel.